The Lexus LC is the sports coupe that offers a dynamic drive and the look that will quickly capture your attention. This amazing car is one that shows up with the sharp lines and smooth curves combined together to be the car that shows you the blend of qualities that make an attractive and impressive ride you’re going to want to enjoy on the track and on the road. The challenge of the decision you want to make isn’t whether or not to purchase the Lexus LC, but which version you should consider for the driving experience you’ll enjoy. When you head to the nearby Lexus dealership and take a look at the Lexus LC models on the lot you’ll see the LC 500 and the LC 500h which are a pair that can give you the ride you’ve been after. The LC 500 is powered by an impressive 5.0-liter V8 engine that pumps out a full 471 horsepower and 398 lb.-ft. of torque to give you the quality performance on the track that you want. This power allows you to reach sixty mph in only 4.4 seconds while making use of the ten-speed automatic transmission that’s perfect for the ride. Turn your attention to the impressive LC 500h and you’ll see a car that’s powered by an amazing 3.5-liter V6 engine with the assistance of a pair of electric motors. This layout brings you 354 horsepower for the drive and it can rocket to sixty mph in a time that’s only slightly slower than the V8 model. This version of the car can drive silently along the road when its driven in only EV model to give you better overall efficiency to make this a hybrid sports coupe that you’ll want for the drive. Both of these cars offer you the smooth luxury look and appearance you want for the drive you want to have for the ride on the road. While both of these models offer you a tendency toward a smooth ride when driving under normal conditions you’ll want to notice some of the differences. The LC 500 can be set to Sport+ and you’ll be able to enjoy the lout downshifts of the transmission and make use of the steering wheel mounted paddle shifters that make this car feel direct and impressive for your ride. If you’re leaning toward a model that offers a smooth drive and gives you the handling and performance you need, the LC 500h is the right choice for you. This version does have a Sport+ model as well but it doesn’t grunt and growl like the V8 model and it gives you a quieter ride while offering up the performance you’ve been searching for when you want to drive on the road. This version can be construed as being more comfortable but still maintains the attitude you want when you take this car out for a drive and show it off in your area. 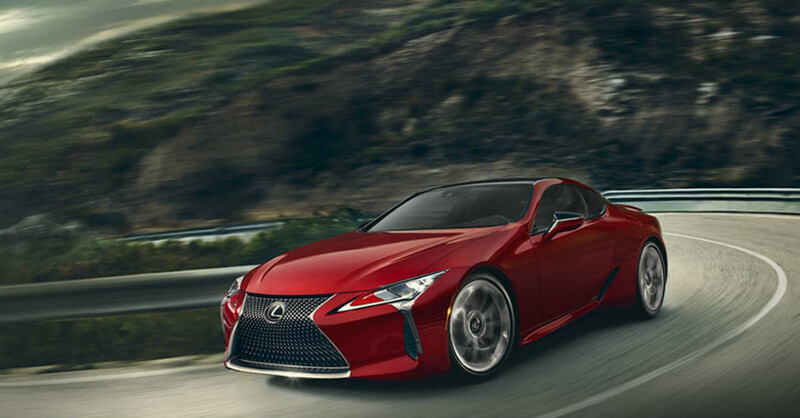 shows up with exceptional power for the performance you want to enjoy on the road while the LC 500h is a model that brings in the hybrid qualities you’re looking for when you want a performance model that gives you the drive that’s smooth on the road. One of these two will be the right performance luxury coupe for you to have the drive you need. Carl is a gaming fanatic, forever stuck on Reddit and all-around lover of food. He writes about cars for several publications and lives in northern California.